Dundee vs Celtic predictions for Sunday’s Scottish Premiership clash at Dens Park. Celtic could potentially wrap up the Scottish Premiership title with a win over Dundee. Read on for all our free predictions and betting tips. Dundee’s 2-0 defeat at St Johnstone last weekend resigned them to back to back defeats in the Scottish Premiership and takes their recent form to two wins, two draws, and four defeats in their last eight outings in all competitions. They have failed to score in all four of these defeats, which has seen them slip to 8th in the Scottish Premiership. That may seem like a comfortable position, but they are only six points above the relegation playoff position and there are still ten games left to play. Celtic, unsurprisingly, have no need to worry about relegation. They are a huge 25 points clear of closest challengers Aberdeen in the Premiership and there are just 30 points left to play for. A victory on Sunday, should Aberdeen fail to win on Saturday, would seal the league title for Celtic once again. Of course we all know they’re going to win it now, but wrapping it up mathematically before March has ended would be a huge achievement. Last weekend can be classed as a massive underachievement though. They led Rangers in the Old Firm derby thanks to a Stuart Armstrong goal, but they took their eye off the ball at the end and conceded a late goal at Celtic Park, dropping points for just the second time this season and ending their perfect record on home soil. They have still won a huge 26 of their 28 games in the league, and domestically they have won 33 of their 35 matches. This has taken them to the Scottish FA Cup semi finals and already seen them lift the Scottish League Cup. They look well on track for a domestic treble at the moment. The 1-1 draw with Rangers extends their unbeaten streak in all competitions to 21 games, and 19 of those have ended in victory. Of course everybody involved with Celtic has played a part in this incredible season, but the standout performer has been Moussa Dembele. The 20 year old striker has scored 29 goals in all competitions this season and has netted nine league goals at Celtic Park in just ten starts. He comes in at 2/5 to score anytime, but I think there’s more value to be had in backing Stuart Armstrong for our goalscorer predictions. He’s priced at 15/8 to find the net and has scored seven league goals in 11 appearances away from home. He also netted last weekend against Rangers, so that’s who I’m backing. Away from home Celtic have won six matches on the bounce in all competitions, scoring 21 goals and conceding just four in the process. 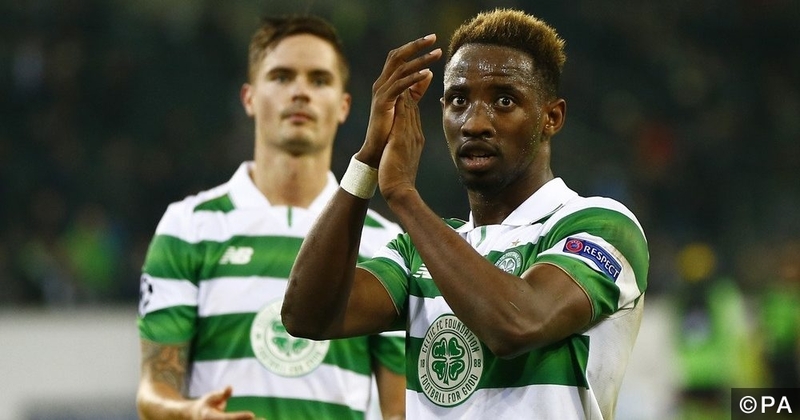 They have scored at least three goals in seven of their last nine away from home, so odds of 10/11 for Celtic Over 2.5 Team Goals look good value for money. I’m going for that along with a 4-0 correct score predictions at 9/1. Celtic have won five and drawn two of their last seven meetings with Dundee. They have lost just one of their 40 previous encounters, with that defeat coming back in 2001. Centre back pairing James McPake and Julen Etxabeguren are sidelined for the remainder of the season. Attacking midfielder Tom Rogic remains on the sidelines for Celtic. Celtic have scored an average of 2.85 goals per away game this season in the Premiership and have netted at least three in 78% of their last nine on the road.